24 years ago today, a rainbow appeared in a cloudless sky over Chapel Hill, NC. That’s how the day of my son Jordan’s birth began. His life was marked with an unusual sign in the sky. Though I’m sure there’s a scientific explanation for this strange and random rainbow that day, it’s more difficult to explain the extraordinary life he lived, but let me try. His childhood was the easiest of all the children I’ve ever known. Always pleasant and polite, gentleness marked him as a boy. As a teen he was extremely quiet and reserved, some days barely speaking a word. Yet underneath this strong silence, everyone knew he had a depth of character that was unflinching and solid as steel. Although slow to speak, when he spoke we often felt the weight of his words. By high school he was a debater on the debate team. He would use that skill as he presented the Gospel of Jesus to his classmates and others. Some nights he was late getting home and I admit I worried about him, only to find out he was out sharing Jesus with friends and strangers, occasionally til wee hours in the morning. Jordan’s work ethic was one that made me proud. As a teenager on weekends, he was often out of bed before the sun had risen, so he’d arrive at his workplace, Starbucks, on time. He loved his work, stewarded his paycheck, tithed to God, saved, invested in things like Apple and Microsoft, and always requested off whenever work conflicted with church or youth group. Everyone looked up to him and loved him. Though his righteousness exceeded ours, he’d never make anyone feel inferior. He had unusual character and purity that attracted instead of repelled. He never strayed from that character, never cussed (hard to believe, yet true), never spoke ill of or tattled on others and had a moral excellence that always made me wonder how he had reached such a level of excellence. He had a quiet, yet confident faith, reading the bible nearly daily, yet never bringing attention to it. His faith was mostly private. To the best of my knowledge he never made me or others feel bad for their lack of faith or righteousness. In reality, Jordan never brought any of us one day of pain or consternation. While a College student at Oral Roberts University, Jordan was well-loved and received. Having his older brother, Christian, there his freshman year was helpful, but Jordan stood on his own. He was the dorm barista, his room smelling like that of a local coffee shop. For this and many more reasons he made a splash on campus. 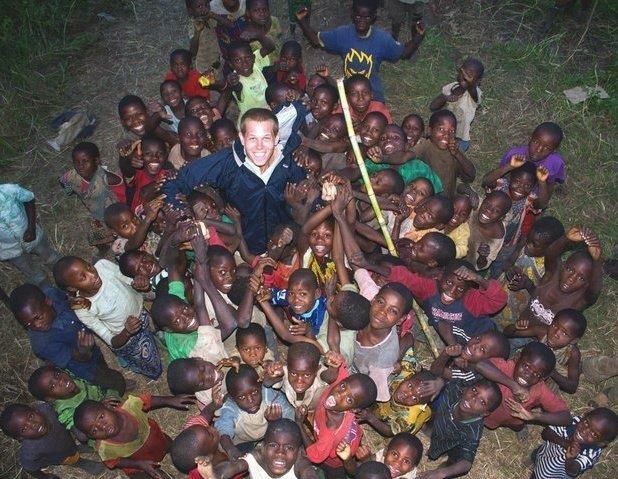 Jordan’s leadership on campus culminated in his heroic efforts, along with the other young men, on the Tanzania “Man Team,” summer following his junior year. When he returned I was mesmerized hearing the stories of all they did and saw. Jordan Carter, at the Memorial Service in Tulsa, succinctly tells it here in a fitting tribute. The team was a great band of brothers who endured much hardship while living in the bush of Africa for more than a month, sharing the Gospel with those who had never heard it before. It was there that Jordan’s sinus infections and nose bleeds were even worse than before and my precious son was enduring something we would have never imagined… a rare sinus cancer resulting in a skull-based tumor aggressively growing around both optic nerves and pushing against his brain. This was diagnosed upon his return, just a day before his 21st birthday. It was a rude welcome to manhood, but a challenge that he’d face with his chin up, chest out and spirit soaring. For the next three years all of us witnessed an extraordinary courage and bravery from Jordan, as we watched him face a 3-year battle with cancer that was brutal and nearly torturous at times. He never complained or accused God. His courageous fight gave him extra months and years on earth. These months and years we will treasure for the rest of our lives. After the first six months of the battle, Jordan was declared cancer-free by the doctors at UNC. It was extreme jubilation and although physically worn down from the 3 surgeries, 8 rounds of chemo and 71 rounds of radiation, he quickly reenrolled at ORU and graduated on time with honors. While at ORU, Jordan made two amazing choices that marked his destiny. He chose mentors who loved God and trained him in life and business (Bill, Steve, Sean, Brett, to name a few) and he fell in love with a woman who was his equal in character and grace…Cady Kendall. Jordan graduated, started his career at Regent Bank, dated and married his sweetheart with the blessing of her father. It’s not an exaggeration to say that Jordan did just about everything right. He was wise and mature. He was a man’s man. Because of this, our pain has been lessened on the days we miss him beyond words. Because he made a difference, because he gave us so much to celebrate, to be proud of, he left us with a blessing — the great gift that he obeyed God, loved others and lived in fulness to his final breath. If the statement is true that, “What matters is not the duration of your life, but the donation of it,” then Jordan did well and donated lavishly. He donated his love. His smiles. His heart. His empathy. His sweetness and kindness. His radical generosity. His frugality so he could be more generous. His dedication and hard work. His wardrobe. His daily repeated thank yous. His gratefulness. His example. His Regent Bank “Employee of the Year Award” in his name. The Jordan Lewis Missions Fund to reach the Unreached People of the World. And finally, His encouraging reassurance that everything would be okay. This was his last text message to me just days before his passing: “Dad, you definitely deserve the day off. Glad to hear everything is going well for you. Everything is going well for us too. Really believe everything is being worked out as it should.” Jordan kept our faith, that God in His sovereignty was at work through our pain. Jordan showed us the way. And now no doubt, he’s pioneering in the life to come. Our hope and confidence is that those of his faith will be with him again. Jordan Alexander Lewis… I honor you. In life, death and resurrection, you were and are wonderful, extraordinary, and forever my son. To find out about the Jordan Lewis Memorial Missions fund click here.